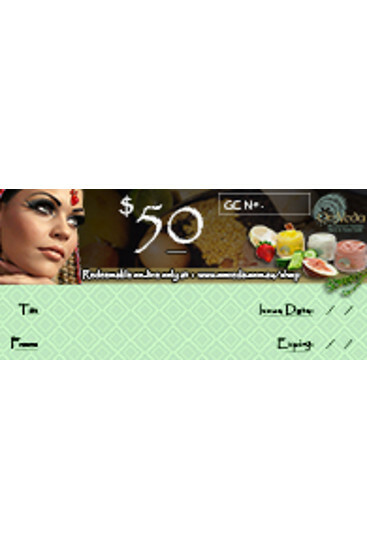 Purchase a Gift Voucher for Omveda Products. To use the voucher go to www.omveda.com.au to select items from our online shop. When the recipient gets to our checkout after selecting their goods, they enter the code in the Coupon code field, then click the ‘Apply Coupon’ button, to credit the Voucher value against their purchase. Please Note: shipping costs will be added to the total of products purchased. When the recipient gets to our checkout, after selecting their goods, they enter the code in the Coupon code field, then click the ‘Apply Coupon’ button, to credit the Voucher value against their purchase.